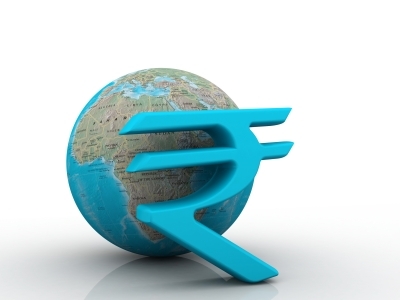 What is the size of giving market in India? According to “Compilation of Accounts for Non Profit Institutions in India in the framework of System of National Accounts”, conducted by National Accounts Division, Central Statistical Organisation, Ministry of Statistics and Programme Implementation, Government of India in 2009, NGOs raise anywhere between INR 400-800 billion (USD 8.3- 17 billion) in funding annually. The government has been the biggest donor — INR 180 billion (USD 3.75 billion) was set aside for the social sector in the XI Plan — followed by foreign contributors (according to the latest figures available, around USD 2 billion was raised in 2007-08). Individual donors are emerging as the biggest and most lucrative source of funds. According to an internal study by a leading foreign NGO headquartered in the UK, donations by individuals are expected to have grown from around INR 22 billion (USD 460 million) in 2005 to INR 81 billion (USD 1.7 billion) by a conservative estimate, and to around INR 210 billion (USD 4.4 billion) by more liberal estimates. According to another study in 2006 the total giving in India was around 0.6% of GDP or close to USD 5 billion in monetary terms. In 2010, private charity contributions (individuals, corporations, foreign funds) stood at 0.3% to 0.4% of GDP —up from about 0.2% in 2006. The corporate giving is estimated at USD 1.5 billion in 2010, up more than 5 times since 2006. Only 26% of private charity contributions were from individual donors, which works out to somewhere between USD 1.3-1.6 billion in 2010.